Germany’s leading companies will need to have at least 30 percent women on their supervisory boards from 2016, according to a new directive being adopted by the government, Chancellor Angela Merkel said Wednesday. The leaders of Germany’s Social Democrats and Merkel’s conservative bloc agreed on the measure at a late-night meeting Tuesday. A bill will be put to Cabinet on Dec. 11, she said. 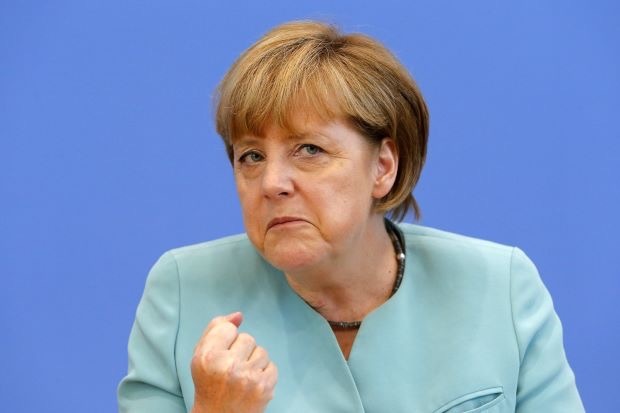 Currently, women hold just 22 percent of non-executive positions on the boards of companies listed in Germany’s benchmark DAX 30 index, according to Economy Ministry figures. They hold just six percent of management board posts. The new plan will affect 100 listed companies starting 2016. Companies that fail to recruit enough women to non-executive boardroom posts will be barred from giving vacant seats to men. Introducing a women’s quota was one of the center-left Social Democrats’ demands for entering into a coalition with Merkel’s conservatives. Germany has lagged far behind other European countries in terms of female representation in the boardroom. Norway, Spain, Iceland and France already have similar quota requirements.